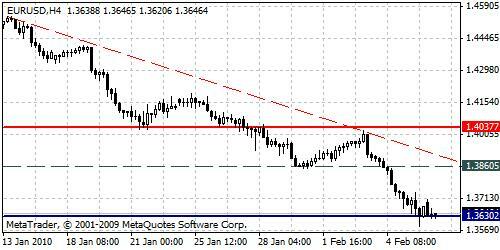 Negative trend is extended further downside, however concentration is formed by current support barrier at 1.3630 while resistance level holds at 1.4037. Wide trading range is created, however at the moment look for selling options just below support level. Breakout confirmation of support barrier is needed to continue bearish movement.